Namibia is a country based in Southern Africa bordering the Atlantic Ocean. It shares land borders with Angola and Zambia to the north, Botswana to the east and South Africa to the south. 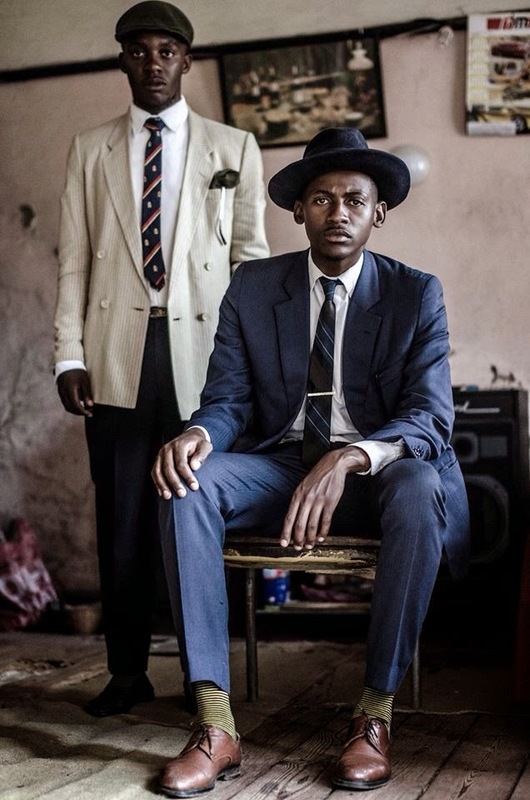 In this country lives one man named Lourens Loux Gebhardt, who goes by the name Loux, the Vintage Guru. 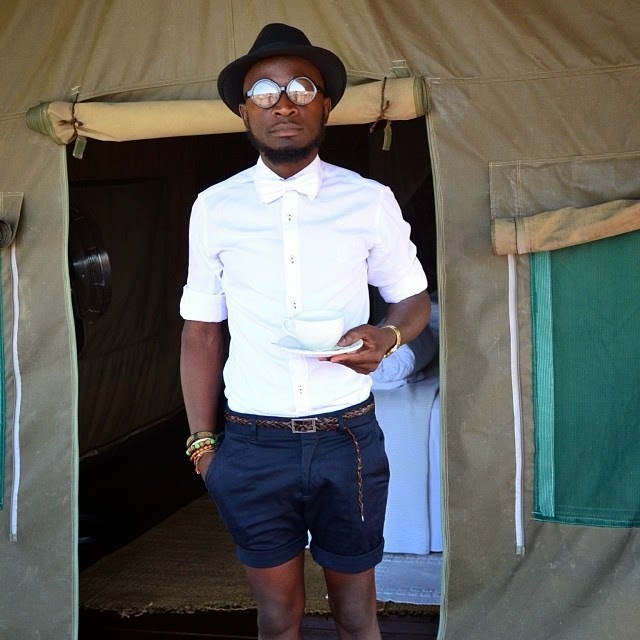 He was born and bred in the capital city of Windhoek, Namibia where he currently works as an internal auditor, part-time fashion designer and a stylist. 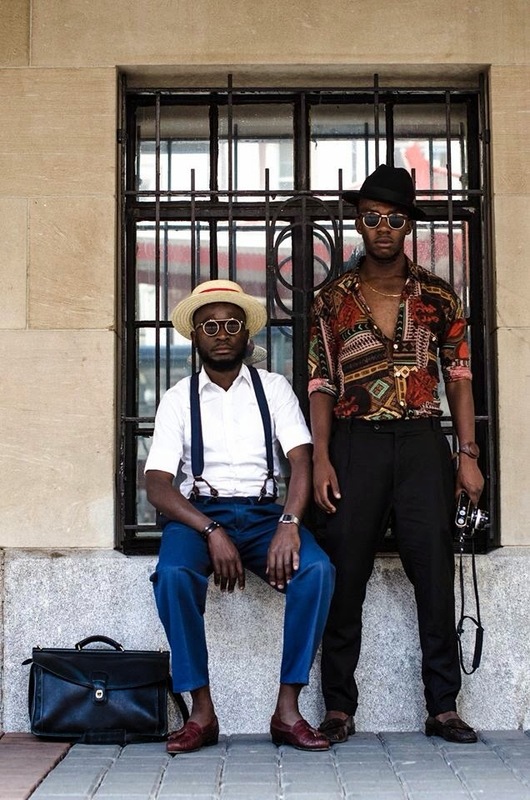 As a young boy in Namibia, Loux's grandfather once told him, "My son, fashion is what you adopt when you don’t yet know who you are, make sure you are always well-dressed” and Loux kept his words of advice with him all these years. 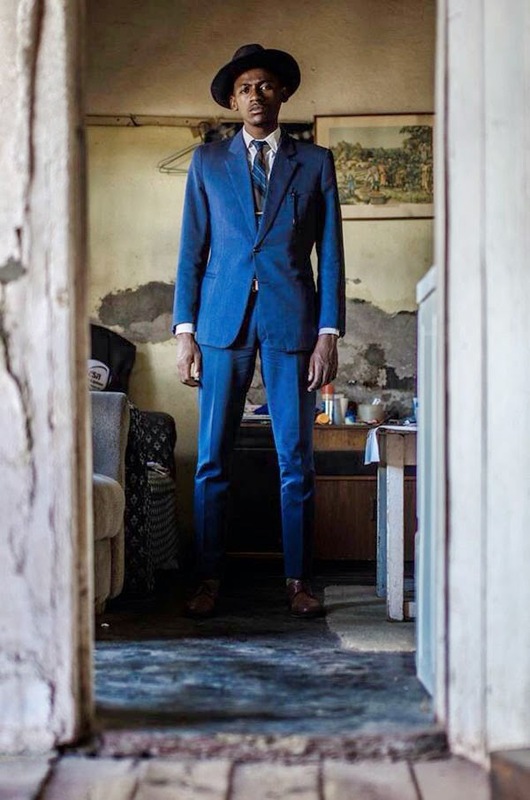 In addition to seeking out vintage clothing and dressing for success as his daily routine, he shares his gift of style with others. 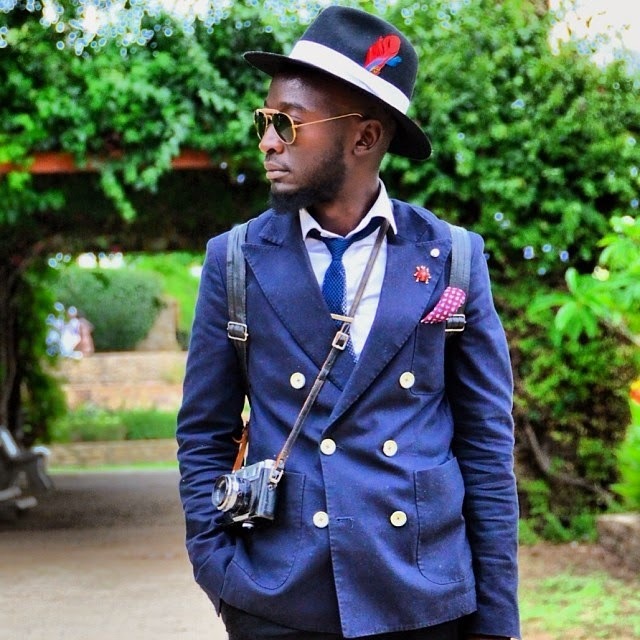 He has developed his passion for the art of op-shopping and styling, which is sitting on the verge of igniting a fashion revolution in Africa. 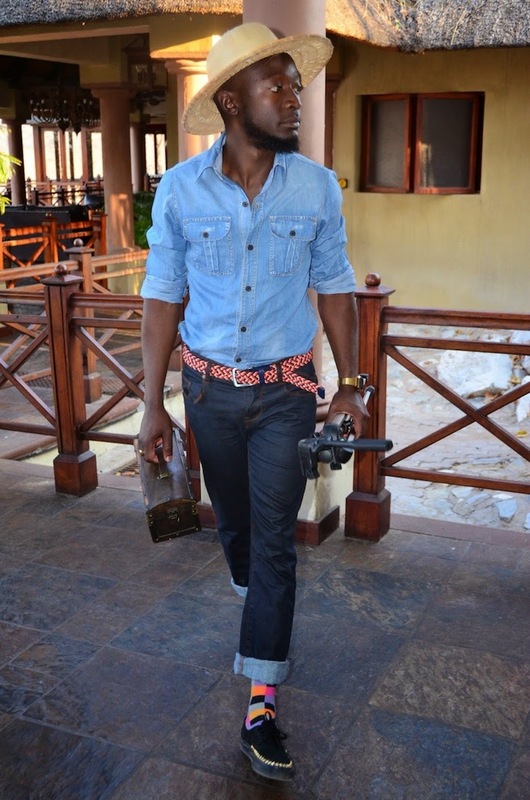 He proclaims himself as someone with a liberation of creative expression and influence on the sense of fashion. Loux whips vintage clothes from his grandfather and father's generation and adds his modern hint to them with novelty patches, pins, or a pair of sneakers. 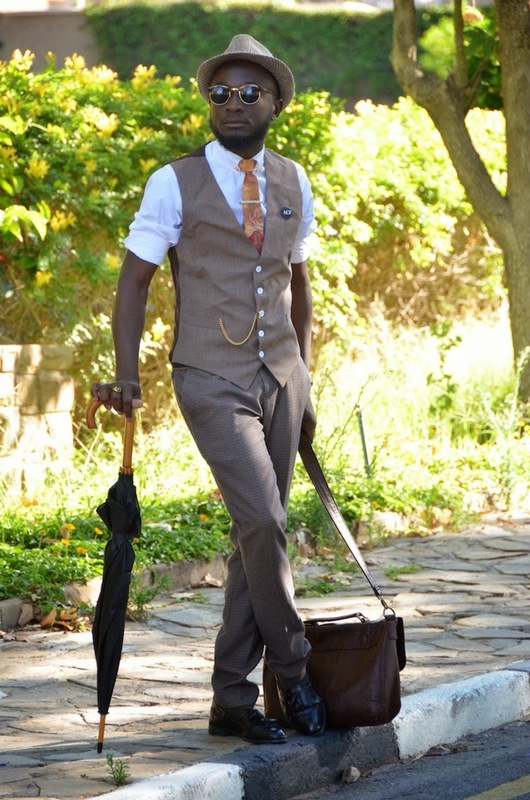 In the past year he learned to sew and a few weeks ago, he debuted his first collection of men’s apparel, LouxDesigns at Retro Vintage Kollection Fashion Week in Pretoria, South Africa..
Loux admits that money poses a challenge when striving to find success in fashion, however, he has perfected the art of buying cheap clothing and appearing as wealthy. 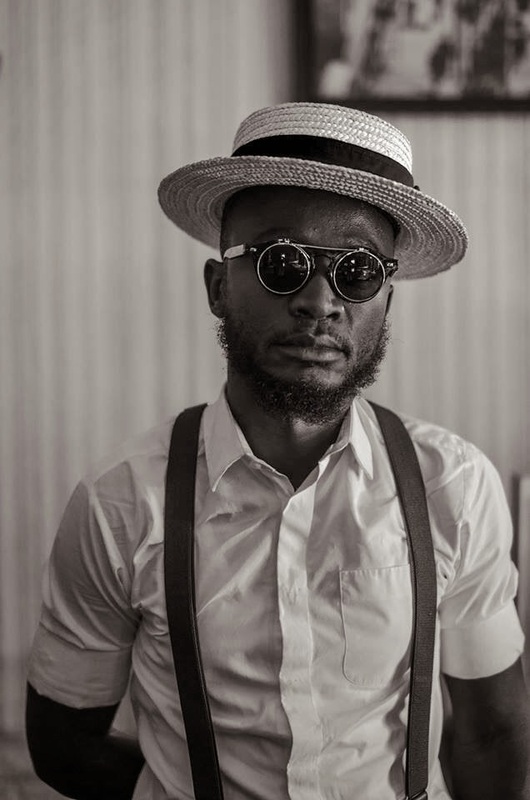 Loux says, "A lot of the vendors in Namibia don’t realise the value of what they’re selling because many people aren’t interested in wearing vintage, they just see it as 'used clothing,' but he has endeavored to prove this misconception wrong..
Loux is driven by his enthusiasm for fashion, something that has been growing within him since his childhood. 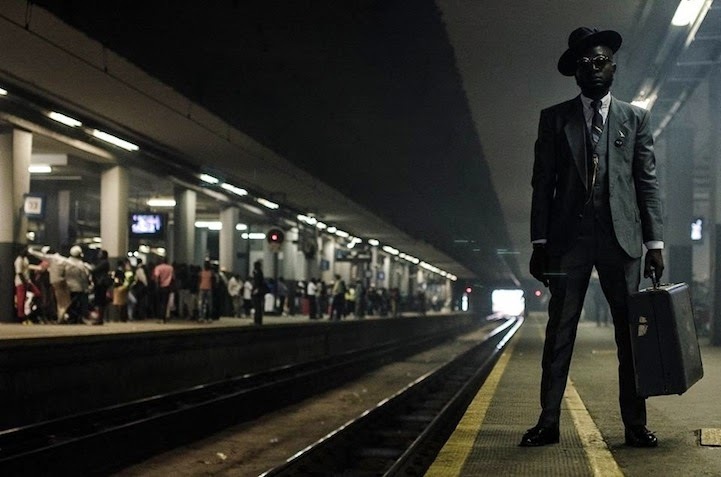 Keeping his grandfather's words close to him, his vision now is to “show the fashion world that we can unite as one in the African continent." 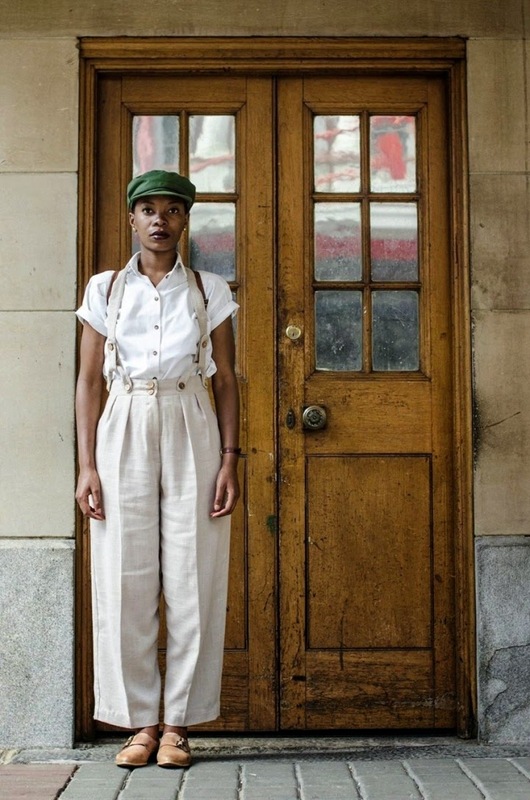 At LouxDesigns, vintage clothing is the order of the day. Despite the modernization of the vintage pieces to give it a touch of what people like now, we love that the 1960s IDEA is at the HEART of his designs. 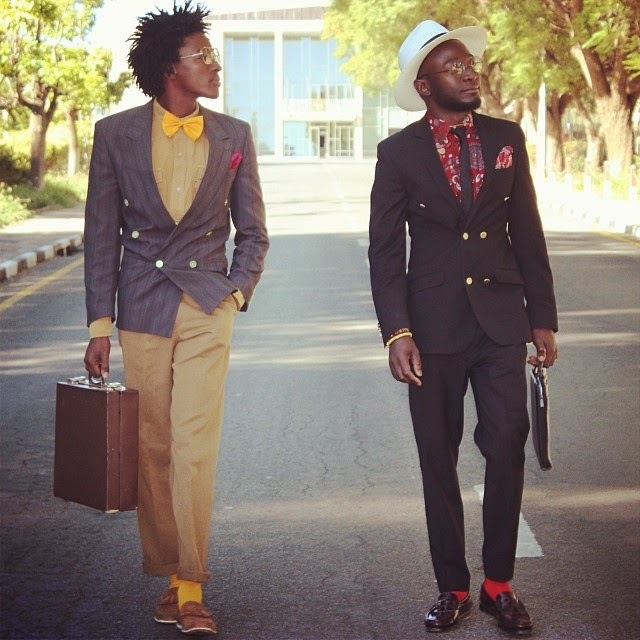 LouxDesigns specialises in men’s blazers, suits, two-pieces, shorts, trousers, waistcoats—in essence, ready-to-wear design. 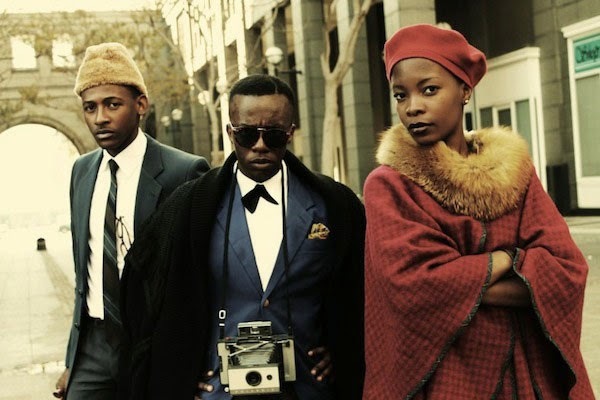 They are mostly made from bright colored African fabrics. 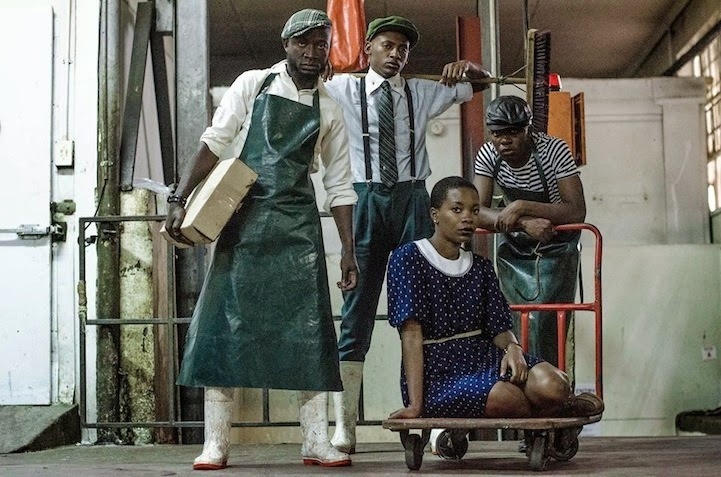 Loux uses African prints because he is on a quest to unite African designers and get them to come together as ONE. 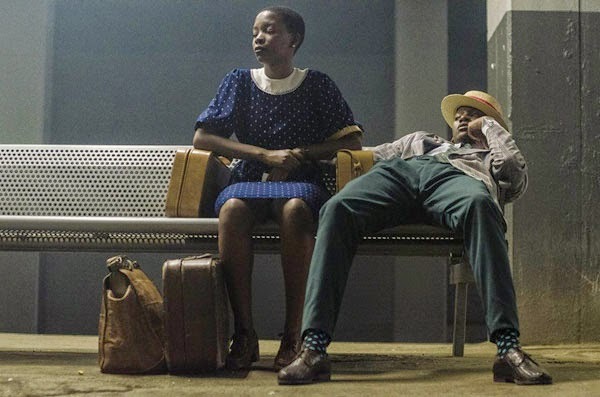 There is so many different African countries with a variety of ethnic groups, therefore, these bright colours are a symbol of RECONCILIATION; bringing back the roots of Africa and pulling Africa together as a continent. 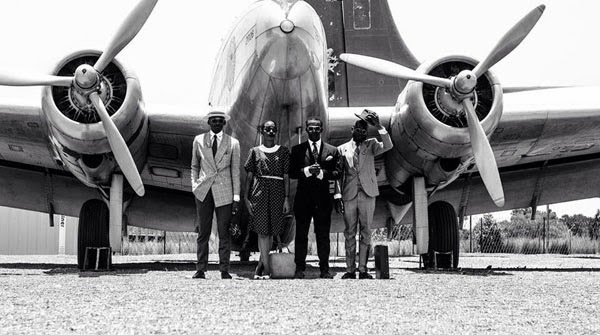 Loux’s sophisticated photos of him and his pals in 1950s and ‘60s apparel execute a fresh, wistful feeling blend with a resilient sense of style. 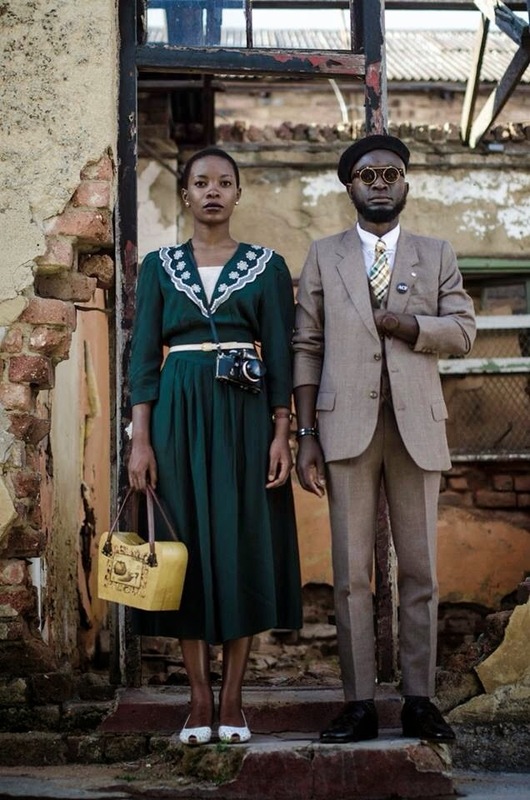 He "quit" NEW clothes two years ago and he has only worn vintage ever since, mainly his own designs. 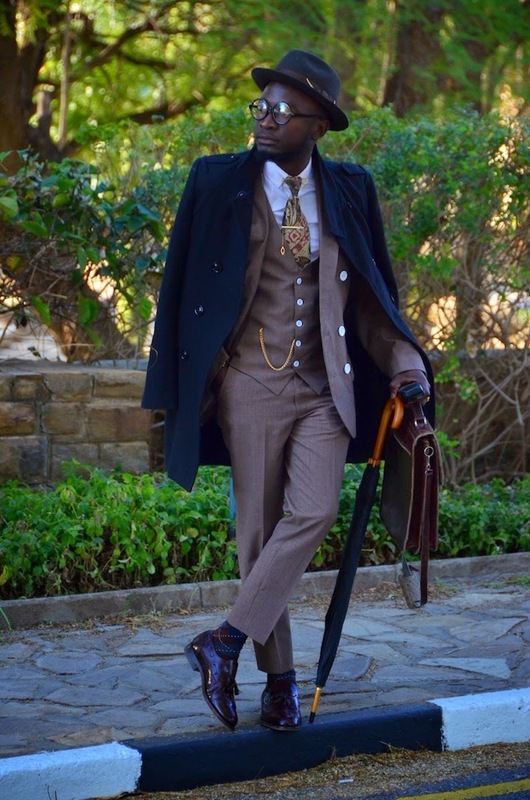 His intoxicating pictorial presence on his blog as he strolls around town elegantly draped, draws a lot of inspiration, ESPECIALLY to AfroPino. It almost feels like a calling to follow in his footsteps. 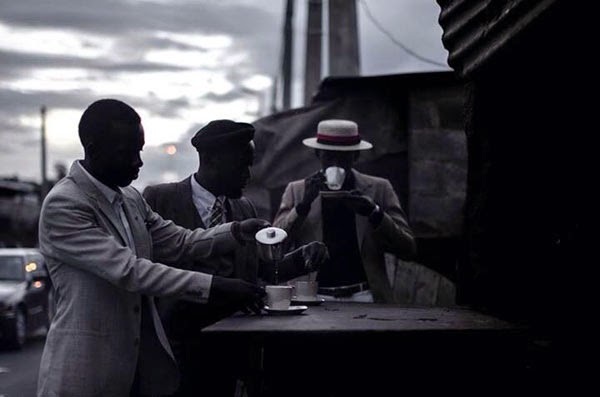 AfroPino adores Loux and his sense of fashion as it is the product of older generations. 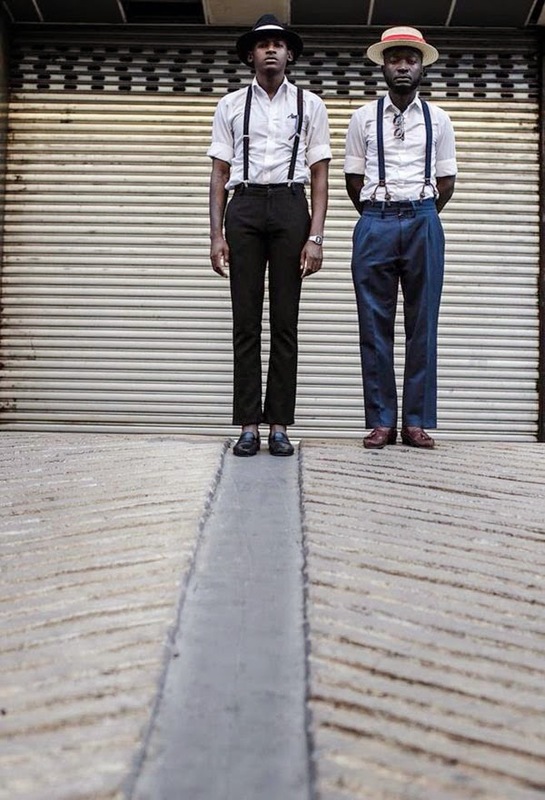 Loux, his designs and his sense of style and fashion depict the ultimate definition afropunk! 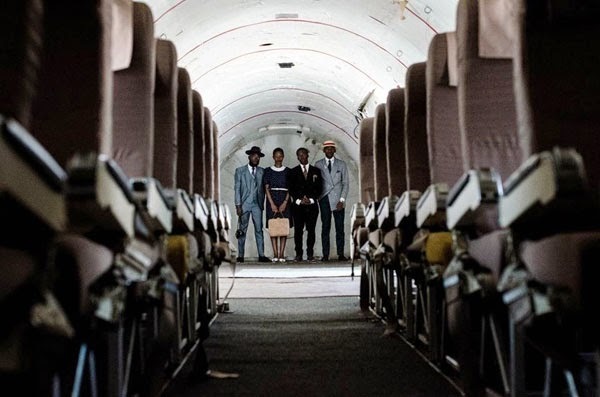 Loux represented Namibia at the Retro Vintage Kolektion Fashion Week in Pretoria, South Africa early last month and has been invited to showcase at the African Fashion Festival in Ghana.